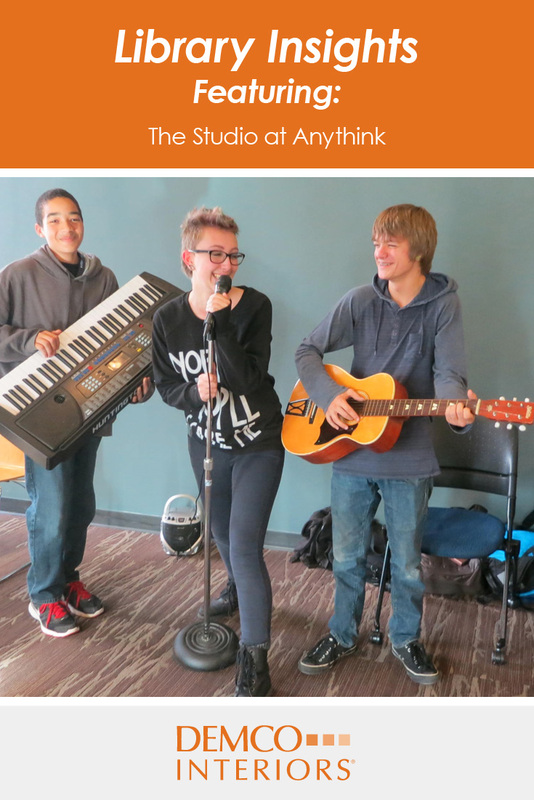 Anythink Libraries, located in Adams County north of Denver, CO, creates experiences centered around production and puts interest-driven, informal learning and creative collaboration into action with The Studio. The Studio embodies Anythink’s philosophy that customers of all ages thrive when they discover and follow their passions, collaborate with others and become creators. 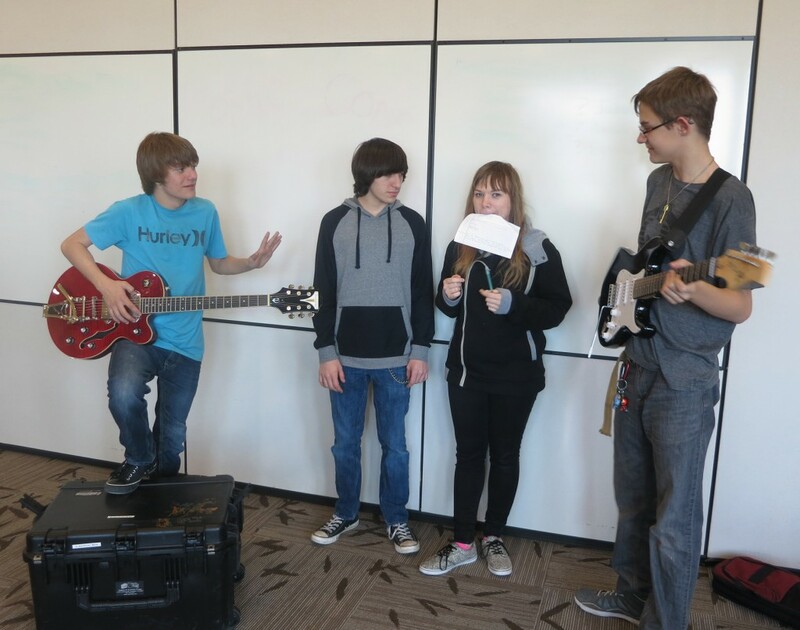 In 2012, Anythink received an Institute of Museum and Library Services (IMLS) planning grant to create an environment that would allow teens to learn and gain skills based on their interests relevant to school, work, and education. Funded by the John D. and Catherine T. MacArthur Foundation, this grant helped build the first iteration of The Studio at Anythink Wright Farms, a digital learning lab designed as a space where teens could hang out, mess around and geek out (HoMaGo) with the latest in digital technology. The Studio at Anythink Wright Farms features tools like HD cameras, a green screen, a complete audio recording studio, and software for audio, video, and video game creation and editing. The Studio at Anythink Brighton soon followed in the form of a makerspace in an already-existing meeting room at the Brighton, CO, Anythink location. 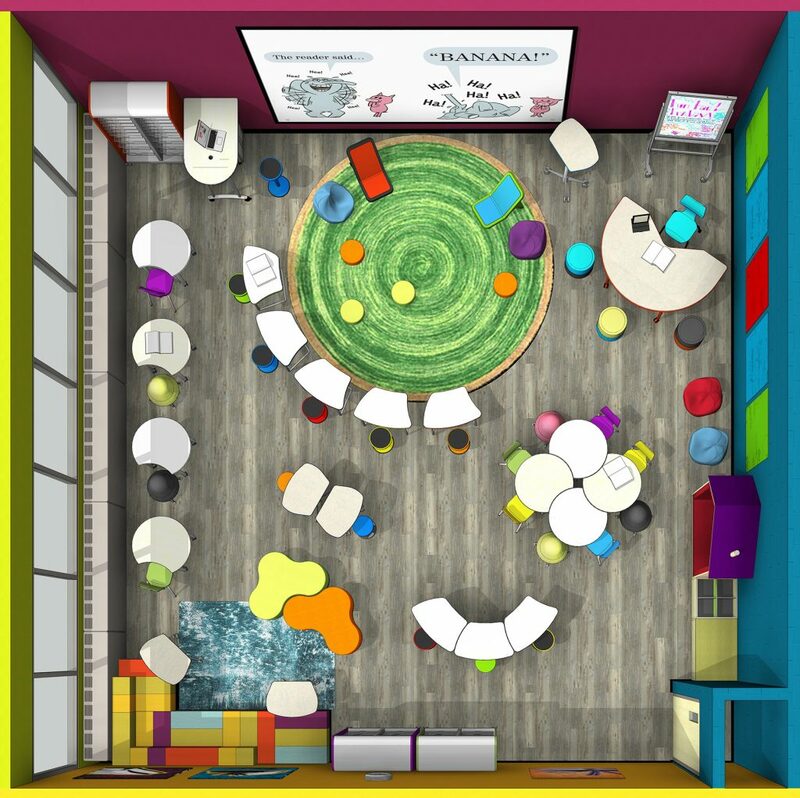 The makerspace, which is open to all ages, includes 3-D printers, a textiles studio with sewing machines and a digital photography studio. However, The Studio at Anythink was never just about “the stuff,” or the tools in the space. The emphasis was always on creating opportunities for customers young and old to develop 21st-century skills like critical thinking, communication and collaboration. 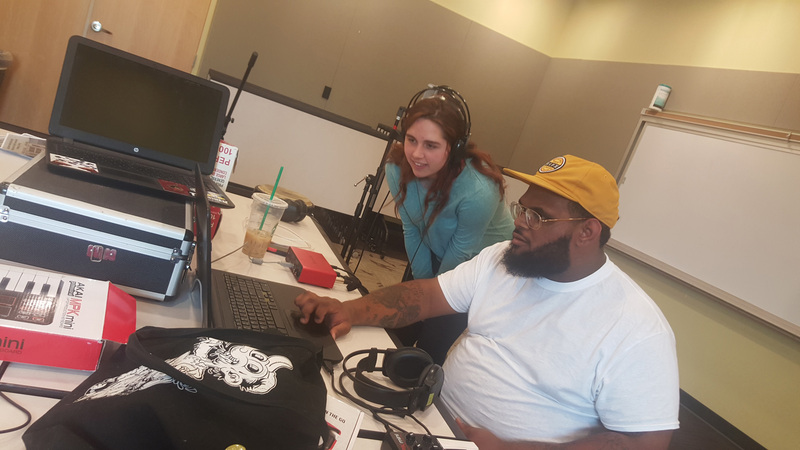 The Studio helps create these opportunities for Anythink customers by connecting them with community experts called artists in residence (AIRs) who help customers expand their skills and knowledge. Since these first iterations, The Studio has evolved to become even less about the spaces and more about providing opportunities for customers to create and work collaboratively. The Studio embraces the concept that great experiences are supported by relationships between customers, AIRs and staff. The focus is based on fostering meaningful relationships that lead to programming and experiences relevant to each community served. 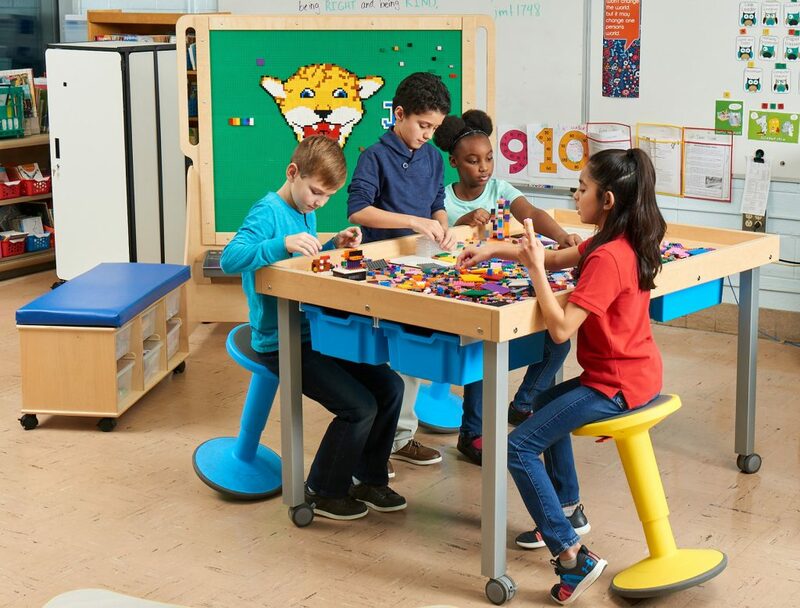 Additionally, the district provides a variety of kits that may include tools like DSLR cameras, sewing machines or Ozobots that can travel from branch to branch to support these experiences. 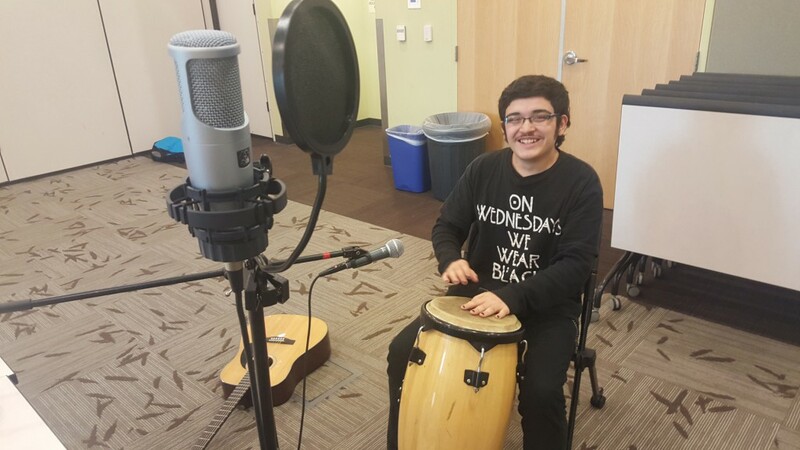 Teens worked with artists in residence Devin Urioste and Diana Rose Frances to create, perform and record original music at the Anythink Huron Street Branch. 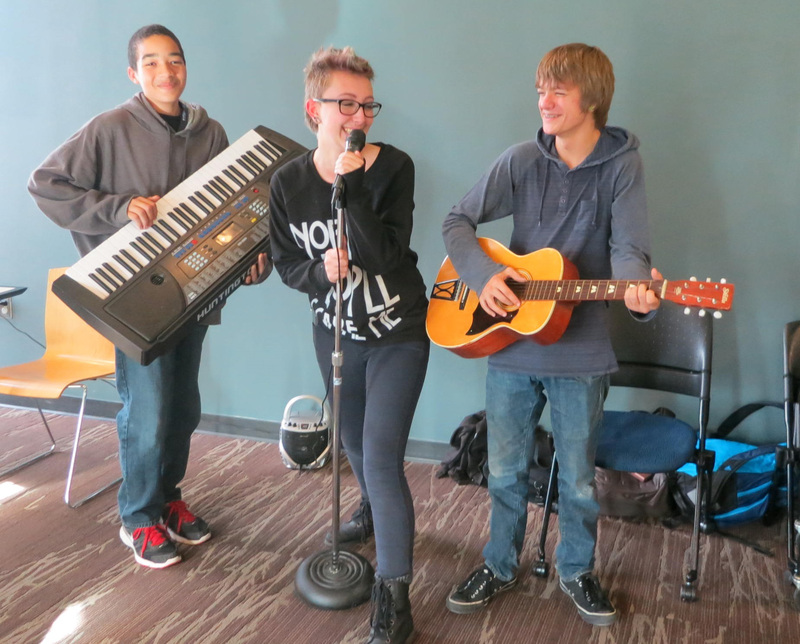 Click on the video to experience the results of the teens’ efforts and listen to their performance of “Shady Lanes,” an original song recorded at Anythink Huron Street with the help of artists in residence Devin Urioste and Diana Rose Frances. The Studio provides multiple ways for customers to create, share and connect while socializing, experimenting, pursuing their passions and gaining in-depth knowledge, no matter where they’re located. Working with staff and AIRs, customers help drive these experiences, fostering a culture where anyone can learn on their own terms and lead based on their expertise, tapping into the talents of their entire community. The goal is to empower customers to develop skills that are relevant to their lives, helping people grow from tinkerers to experts — at home, at school, at work and beyond. Teen guide Genné Boggs has been learning from teens for more than 20 years as both an educator and a librarian. She loves taking part in the adventures that arise when young adults explore their interests. Having recently discovered a passion for dystopian teen fiction, there is officially no hope that she will ever finish reading the stack of books on her nightstand. When not reading or at the library, Genné enjoys spending time with her family (including two large, furry members) and being in the beautiful outdoors with horses. She can be reached at gboggs@anythinklibraries.org. Follow Anythink on social media: Twitter @ilovemyanythink, Facebook and Instagram. Mo Yang is studio coordinator at Anythink, supporting The Studio as a concept and at its physical spaces district-wide. He represents Anythink on national committees, trains and advises staff on Studio concepts and equipment, as well as coordinates Anythink’s artist in residence program. He can be reached at myang@anythinklibraries.org. Follow Anythink on social media: Twitter @ilovemyanythink, Facebook and Instagram.